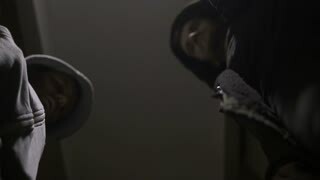 Masked bandit handing over the narcotics to a drug addict. 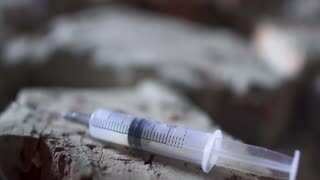 The illegal trade between young criminals on the street. 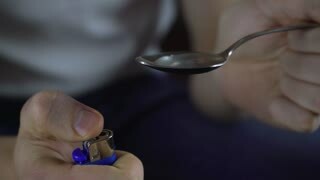 A drug addict prepares to spoon heroin, cocaine. 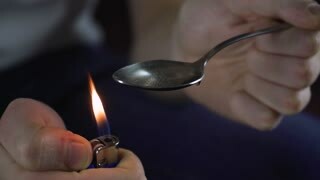 Lighter heats the spoon with drug liquid. A young man smoking a joint with downtown Vancouver, BC, in the background. Portrait of a zombie man with a mobile phone looking into the camera sitting in night cafe. He has big eyes. The concept of dependency on mobile devices and social networks.